Karger Traum is Blake Lusk and Taylor McKenzie from Oklahoma City. The project began when Blake invited Taylor to improvise vocals over his solo project, Holy Siege. 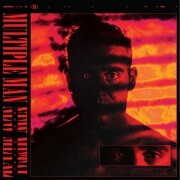 Taylor’s style of improvising lyrics in German fit well with Blake’s minimal, throbbing productions and the pair decided to forge ahead as Karger Traum. Despite wearing the obvious Einstürzende Neubauten, Deutsch Amerikanische Freundschaft, and Suicide influences proudly on their sleeve they have managed to create a sound that has as much forward momentum as it does reverence for the past. 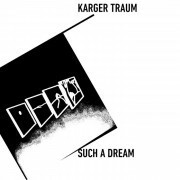 After releasing “Alles Auf Einmal” on Blake’s label, Tape Gun Records, they recorded “Such A Dream” for DKA. DKA is proud to present the debut full-length LP from Brisbane, Australia’s Multiple Man. The twin-brother duo of Sean & Chris Campion, Multiple Man proves that two heads are better than one. Full-featured cinematic excess in the form of “8 NU TRACKS OF BURNING CHROME, CROSS CONTINENTAL HI-NRG, FIRM HANDSHAKE ELECTRONIC BODY MUSIC,” as the band describe it in their own words. It was mixed by Matt Weiner (TWINS/DKA/CGI Records) after having performed with the duo on both coasts of the United States in 2016. Welcome to the New Metal. 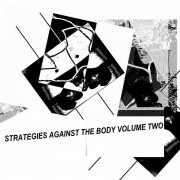 DKA presents the follow up to our 2015 synth compilation “Strategies Against The Body”! We’ve spent the last year compiling brand new tracks from our favorite working artists, veterans and newbies alike, to bring you the latest and greatest in synth music. “Strategies Against The Body II” pulls together DKA veterans Xander Harris and Tifaret with new additions Anticipation and Pyramid Club, as well as presenting special (for now) one off tracks from Passing, Colin Gorman Weiland, Videograve, ARIISK, Celldöd, and Spatial Relation in a cross-continental exploration of the dark side of the oscillator. Following a stunning cassette EP for Night-People and an equally killer 12″ single for Oraculo, DKA is very excited to issue Yr Body Is Nothing, the debut LP from Boy Harsher. Even if DKA had never heard the aforementioned recordings, we’d have been easily convinced by the strength of their live performance alone, as the duo has passed through Atlanta several times in the past few years and never disappoints. With a heavy emphasis on rhythm and atmosphere, the ten songs presented here showcase a songwriting and production style that is sophisticated and unique, dark but powerfully uplifting. The sound is paradoxically massive yet minimal, providing the perfect space for Jae Matthew’s rich, deep, and emotive vocals to occupy as she, along with co-pilot Gus Muller, pulls the listener ever deeper with each passing song.